The Prince of Wales and the Duchess of Cornwall, who were close friends of the Dowager Duchess, walked the entire route behind the hearse carrying her coffin The Dowager Duchess of Devonshire has begun her final journey from Chatsworth House to the parish church where she is to be buried. More than 600 staff from the Chatsworth estate have been give the day off work so they can line the two-mile route that the cortège is taking to St Peter’s Church in the village of Edensor. The Prince of Wales and the Duchess of Cornwall, who were close friends of the Dowager Duchess, were among the mourners, and walked the entire route behind the hearse carrying her coffin. The estate staff lining the route fell in behind as the hearse passed, with more than 500 chairs set up for them at the church so they could watch the funeral on a giant screen showing the service from inside the church, which only holds 200. Halfway through the service the sound of Elvis Presley singing How Great Thou Art filled the parish church. The Dowager Duchess was a huge Elvis fan and owned a collection of Elvis memorabilia. The Dowager Duchess, who died on September 24 at the age of 94, was the last of the Mitford sisters, the most celebrated and controversial family in pre-war high society. It was her head for business that transformed Chatsworth from a crumbling stately home into one of the country’s most popular tourist attractions and the model for virtually ever other stately home in the country. 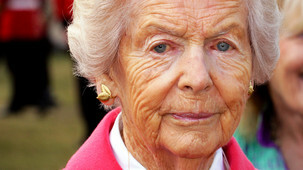 She was buried in the church’s graveyard next to her late husband, the 11th Duke of Devonshire, who died in 2004. His gravestone has been removed for the Dowager Duchess’s name to be added. The plot is next to the grave of Kathleen Kennedy, sister of John F Kennedy, who was married to the 11th Duke’s brother. In accordance with the Dowager Duchess’s wishes, the estate staff lining the route of the cortège wore their work uniforms, with butchers turning out in aprons, gardeners in their green sweatshirts and tour guides in their crested blazers. All wore either a black tie or black armband. As the staff gathered at their muster points to be briefed on their positions, they swapped stories and memories of the Dowager Duchess, who was known as “Debo”. Paul Neale, 59, the head butcher at the Chatsworth Farm Shop, said: “We have turned out in our uniforms because it is what the Duchess wanted and it is the highest compliment we can pay her because she started the retail side of Chatsworth. “She was a lovely lady, very much involved in the business and we would see her three or four times a week coming to look round the shop. The Dowager Duchess knew the names of virtually all of the 620 staff standing to attention along the route, from the 92 catering staff to the 40 gardeners, the 20 tenant farmers and the three gamekeepers. Alan Hodson, 66, one of the 63 tourist guides among the mourners, said: “Today is a celebration of a wonderful lady. The Dowager Duchess’s son, the 12th Duke, followed immediately behind the hearse with his wife and his sister Lady Emma Tennant. The Prince of Wales and the Duchess of Cornwall walked immediately behind them. The Duchess of Cornwall’s former husband Andrew Parker Bowles was also among the mourners. As the cortège progressed along its route, accompanied by the steady monotone beat of a single bell at the church, the numbers walking behind the coffin grew to hundreds and then well over a thousand as the staff and members of the public joined it. The Dowager Duchess’s wicker coffin, ringed with flowers, was carried into the church by pall bearers including Stephen Reid, head gamekeeper, and Andre Birkett, manager of the Farm Shop. The Dowager Duchess’s retired former butler, Henry Coleman, carried a cushion bearing her insignia of the Dame Commander of the Victorian Order. The funeral service, conducted by Canon David Perkins, included music by Bach, Brahms, Handel and Grieg, and the hymns Holy! Holy! Holy! and We Plough The Fields And Scatter. The readings included the poem Lament Of The Irish Emigrant by Helen Selina, Lady Dufferin, and a passage from Ecclesiastes Ch.3 v 1-22. This entry was posted in Paddy's Friends and tagged Chatsworth, Deborah Devonshire, Deborah Mitford, Duchess of Devonshire on October 3, 2014 by proverbs6to10. The Dowager Duchess of Devonshire was the devoted chataleine of Chatsworth and the last of the Mitford sisters. After her husband’s death in 2004 she published a poignant tribute in Memories of Andrew Devonshire (2007). Other publications included In Tearing Haste: Letters between Deborah Devonshire and Patrick Leigh Fermor (2008); Home to Roost … and Other Peckings (2009), a collection of occasional writings; and Wait for Me!… Memoirs of the Youngest Mitford Sister (2010). She was also a contributor to The Spectator and The Daily Telegraph. Her last book, All in One Basket, which brought together two earlier volumes of occasional writings, was published in 2011. 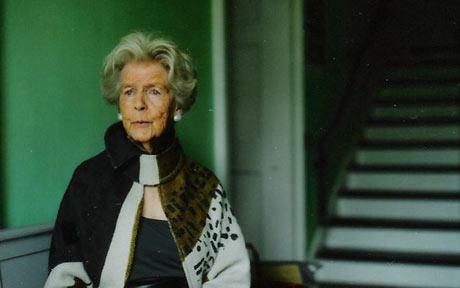 Dowager Duchess of Devonshire, born March 31 1920, died September 24 2014. Listen to the 2010 BBC Radio 4 interview on Woman’s Hour here. 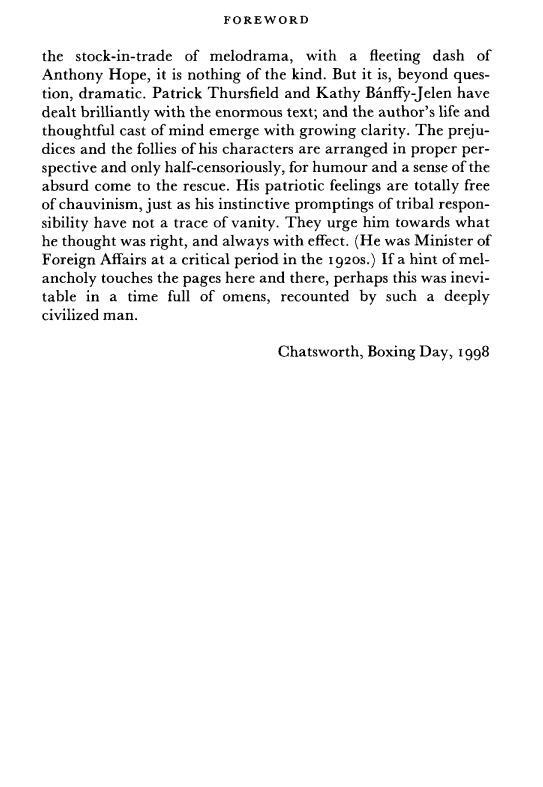 This entry was posted in Paddy's Friends and tagged Andrew Cavendish, Chatsworth, Deborah Devonshire, Deborah Mitford, Mitford sisters, Patrick Leigh Fermor on September 25, 2014 by proverbs6to10. 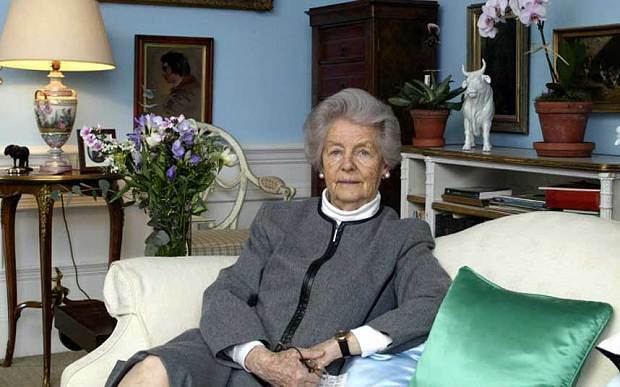 Deborah, or Debo as she was known to her friends, the Dowager Duchess of Devonshire, and the last surviving Mitford sister, has died aged 94. This announcement from the BBC news website. She was the last of Paddy’s friends from his younger days left alive. It is the end of an era. Her son, the Duke of Devonshire, announced the death in a statement from Chatsworth House, her stately home. The Mitford sisters fascinated – and sometimes scandalised – British society in the 1940s. Unity was a friend of Hitler, Diana, the second wife of British fascist leader Sir Oswald Mosley, and Jessica a left-wing polemicist. Deborah was more focused on her home life. Listen to the 2010 BBC Radio 4 interview on Woman’s Hour here. Nicknamed the “housewife duchess”, she made Chatsworth one of the most successful and profitable stately homes in England after marrying Andrew Cavendish in 1941. But along with her siblings, during her lifetime she moved in the same circles as Sir Winston Churchill, John F Kennedy and Evelyn Waugh. She also accompanied her sister Unity to tea with Hitler in 1937, was painted by Lucian Freud, and amassed a collection of Elvis Presley memorabilia. It added that an announcement about funeral arrangements would be made shortly. 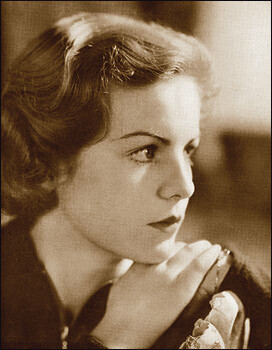 Born Deborah Vivien Freeman-Mitford on 31 March 1920, the duchess was the sixth daughter of the 2nd Baron Redesdale. The Mitfords’ childhood at their family home in the Oxfordshire village of Swinbrook was immortalised in her sister Nancy’s novels, The Pursuit of Love and Love in a Cold Climate. Her parents made a poor job of hiding their disappointment that Deborah had not been born a boy, leaving Thomas their only son. The Mitfords’ father disapproved of educating girls, famously insisting that hockey would make their ankles fat, and Deborah spent her formative years skating and hunting. Her sister Unity’s infatuation with Hitler saw the young Deborah invited to tea with the German dictator, although the visit made little impression on her. At Chatsworth, the Duchess took on a major role in running the house and its garden, which have been used in a number of film and TV productions. In July 2002, the duchess and her husband spoke out against the government’s proposed ban on fox hunting. Made a dame in 1999, she became the Dowager Duchess of Devonshire in 2004 after her husband died and their son inherited his title. 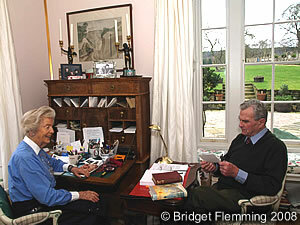 She wrote a book about her life, Wait for Me: Memoirs of the Youngest Mitford Sister, which was published in 2010. This entry was posted in Paddy's Friends and tagged Chatsworth, Deborah Devonshire, Deborah Mitford, Mitford sisters on September 24, 2014 by proverbs6to10. At a Chelsea-to-Richmond boating party held sometime in the early 1950s, the Duchess of Devonshire, then a beautiful young woman of 30, met a dashing man, some five years her senior, who was dressed as a Roman gladiator and armed with a net and trident. It was a look she thought suited him. The fancy-dress gladiator was Patrick Leigh Fermor, a former officer in Britain’s Special Operations Executive (SOE), a covert unit that aided resistance movements throughout occupied Europe, and an up-and-coming writer best known at the time for kidnapping a German general during the war. He had crossed paths with the duchess before and remembered her clearly from a regimental ball in 1940, when she was still Deborah Mitford—the youngest of the soon-to-be-famous Mitford sisters. She was then engaged to Andrew Cavendish, a tall naval officer and younger son of the Tenth Duke of Devonshire who had no expectation of inheriting his father’s title until the war took his older brother’s life four years later. Leigh Fermor had watched the couple dance their way through the evening, “utterly rapt, eyes shut, as though in a trance.” Mitford had not noticed him. But when they met again—as duchess and gladiator—Deborah Devonshire and Patrick Leigh Fermor struck up a friendship that has endured for more than half a century. In Tearing Haste, a collection of their letters newly available in this country, gives the impression that the conversation that started at a boating party so many summers ago has never stopped. 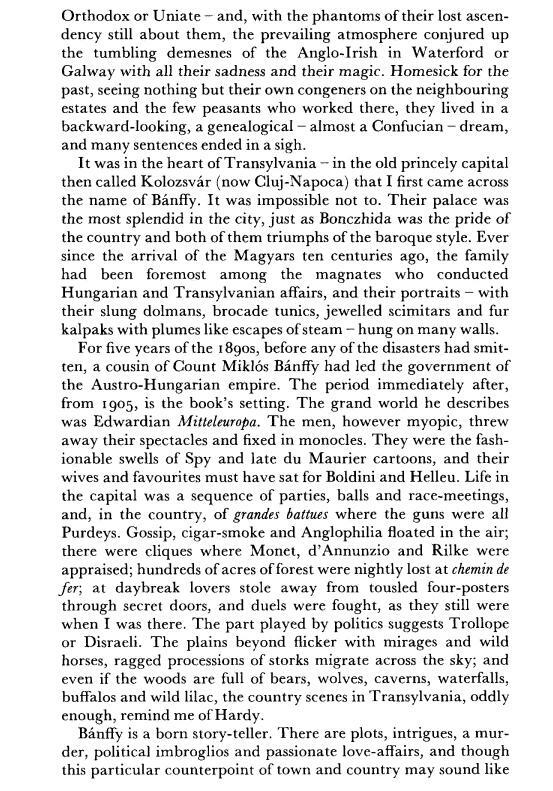 Spanning 1954 to 2007, the volume reads like an accidental memoir of a disappearing world stretching from the manor houses of the English aristocracy to the olive groves of Greece, its people and places rendered with a kind of care that’s becoming scarce in our age of helter-skelter communication. At the same time, the book’s title, a phrase deriving from Leigh Fermor’s habit of dashing off messages “with a foot in the stirrup,” captures the vigor and bustle of the lives that nourished the correspondence. I once happened upon the manuscript of a chatty letter Leigh Fermor had written in 1944 to an Englishwoman stationed in Cairo. Amusingly composed and illustrated with a witty hand-drawn cartoon, it closed with Leigh Fermor mentioning offhand that he was in hiding on occupied Crete and that an undercover runner was waiting outside to receive the communication. In Tearing Haste is engaging from start to finish. There isn’t a dull letter among Charlotte Mosley’s selections. Even her annotations, often incorporating information from the book’s two correspondents, are as surprising as they are informative. One biographical note on the painter Augustus John includes Deborah Devonshire’s recollection of meeting him in London: “He looked me up and down and said, ‘Have you got children?’ ‘Yes.’ Another long look. ‘Did you suckle them? '” More than anything else, the collection is important as an addition to Leigh Fermor’s body of work, both because his letters constitute a larger portion of the volume and because the writing in them harmonizes with the books that established his literary reputation. 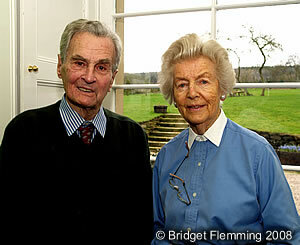 But let it be said that the Duchess of Devonshire is no slouch either. Her letters, though generally shorter and less frequent than Leigh Fermor’s, share his wit and many of his interests—a fascination with language, for example, or with the byways of English and European history. She puts a charming twist on these topics while adding a few bright threads of her own to the correspondence. For all her modesty, the duchess isn’t embarrassed to mention boldface names that have sailed in and out of her social circle. (They range from Fred Astaire to the Queen Mother, the latter called “Cake” when she appears in the letters.) The humor in one anecdote depends on knowing that John F. Kennedy was intimate enough with the duchess to employ her nickname. This caused some confusion when her uncle Harold Macmillan, then prime minister, found himself involved in a telephone conversation with the American president about matters involving Castro, SEATO and NATO. It took him a moment to switch tracks when Kennedy asked, “And how’s Debo?” (Evelyn Waugh, a friend of hers, might well have written the scene.) In the letters, Kennedy is counted among the “bodies to be worshipped,” and several entries describe the friendship that developed between JFK and the duchess in the years between his inauguration and his death. This entry was posted in A Time of Gifts, Between the Woods and the Water, In Tearing Haste, Paddy in the News, Paddy's Friends, The Violins of Saint-Jacques and tagged A Time of Gifts, Between the Woods and the Water, Chatsworth, Deborah Devonshire, Deborah Mitford, In Tearing Haste, Major General Heinrich Kreipe, Patrick Leigh Fermor, SOE, William Stanley Moss on December 26, 2010 by proverbs6to10. The title is taken from a sweater that Andrew Cavendish, 11th Duke of Devonshire used to wear around his Chatsworth estate in Derbyshire. However, just like us he must have been fascinated by the Mitford sisters. In this lengthy article entitled Elvis, Chatsworth, JFK and me, Deborah Cavendish, The Dowager Duchess of Devonshire, and the last of the Mitford sisters, talks about her extraordinary life. If you give the Dowager Duchess of Devonshire a fiver, she’ll show you round her house, an old vicarage in Edensor, Derbyshire. It would be tempting to think that she pocketed the money, but it goes towards the church roof fund. The occasion is the annual village fete. Debo, as everyone calls her, was 90 this year. Having greeted me in her pretty garden, shaking my hand and looking me directly in the eye, she leads me into the apple-green-walled and flagstone-floored hall – ‘Do put your bags down, no burglars here’ – and shows me into her sitting-room, which has an extraordinarily nice atmosphere, and we take to the floral sofa, where she positively lounges, looking at me brightly, waiting to be amused. The Mitfords – there were six sisters and one brother – were a defining family of their time; Debo says now that they always thought they were ordinary, but their celebrity and influence has endured. Extreme behaviour seemed to run in the family. David Freeman-Mitford (Farve), later Lord Redesdale, married Sydney Bowles (Muv) in 1904. 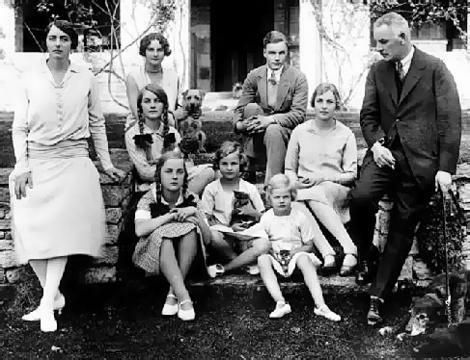 Their eldest child, Nancy, wrote several historical biographies and eight novels, the most famous of which, The Pursuit of Love, was, in her own words, ‘an exact portrait of my family’. There was Pam, the least well-known sister, described by John Betjeman as ‘the most rural Mitford’. There was Tom, who used to pay his sisters a shilling an hour to argue with him and went on to become a barrister, but was killed in the war in 1945. This entry was posted in Paddy's Friends and tagged Chatsworth, Deborah Devonshire, Deborah Mitford, In Tearing Haste on September 22, 2010 by proverbs6to10.